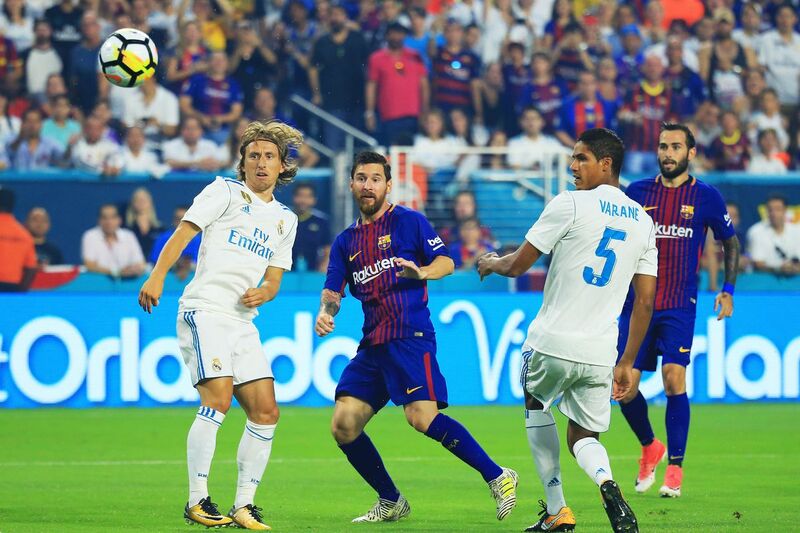 In the second leg of the Spanish Super Cup, held at the Los Blancos home ground Santiago Bernabeu, the Spanish club Real Madrid earned a remarkable win against their opponent, Barcelona. The score came to Real Madrid 2-0 Barcelona. Both the goals were scored in the first half of the match, with Asensio scoring in the 4th min, and Benzema in the 38th. 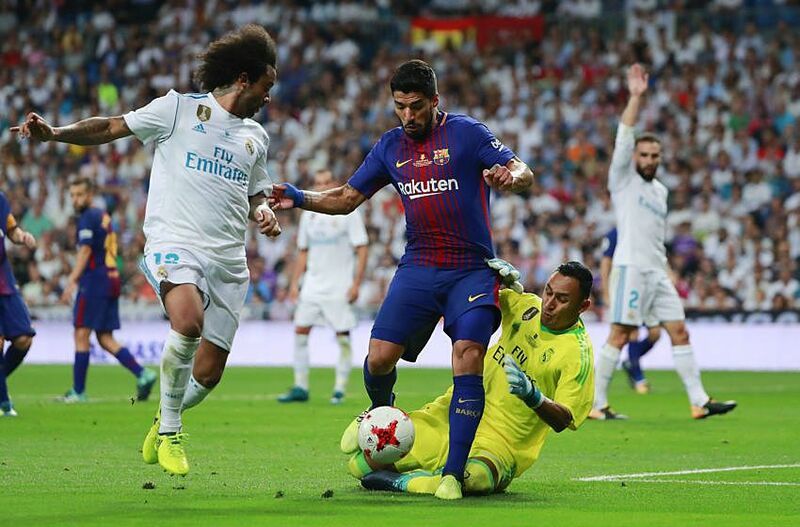 Earlier, during the first leg of Super Cup held at Barcelona’s home ground Camp Nou, Real had bagged a win of 3-1. 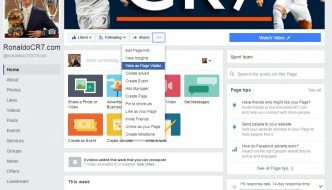 Thus, the aggregate at the end of the two matches becomes 5-1, making this win a massive victory for Real Madrid, thus proving that the Spanish club has become an impressive and unbeatable team. Due to the removal of his jersey and his diving, Ronaldo had been served 2 yellow cards in the first leg, which meant that Real had to go without their star player in the second leg against Barcelona. However, it seemed that Zidane has prepared a team that is strong enough to beat the strongest of opponents, anyway. Even the other Real giants like Bale, Casemiro and Isco were rested for the match. Yet, Barcelona could not give a fitting reply to Real’s high tempo, fast passing, and agility. Real put up a great match, right from the beginning. 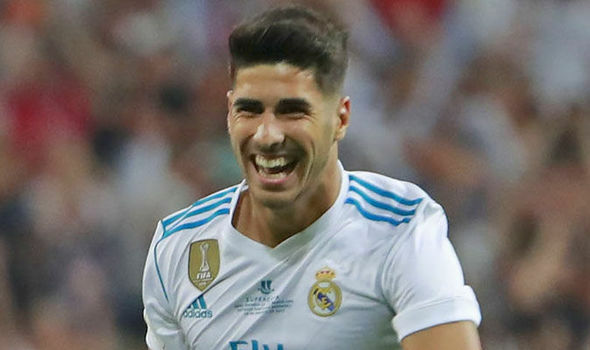 Asensio, whom Ronaldo had earlier called his worthy successor in the team, scored a beautiful goal in the 4th min, and thus created a pressure upon the opponents early in the match, and set the tone of the rest of the match. The young player began in midfield in the team’s 4-3-3, which was a departure from the usual 4-4-2 diamond that have shown incredible results in recent games, including the first leg win, and ruled the first half of the match. In the fourth min, he was around 25 yards out from goal. So, he put his skills of bending and swerving, and dipped a shot over Marc-Andre ter Stegen. Real not only showed the zest to score, but also to acquire and keep the ball, right from the beginning of the match. Barcelona, on the other hand, continued to display a poor defence in the match. They just could not match up to Real Madrid’s skills. Valverde attempted to deal with the absence of Neymar by abandoning the usual 4-3-3 of Barca, and replaced it with a surprising 5-3-2. But, the result was a lot of confusion and nervousness. They tried to work on it, but soon things started to fall apart. Messi tried his best, and took the responsibility to carve out possibilities all on his own. But, his efforts did not help much. Some good runs nearly threatened Real Madrid’s defence, but only a few times, and those attempts fell through, as well. And, Messi soon grew visibly frustrated. 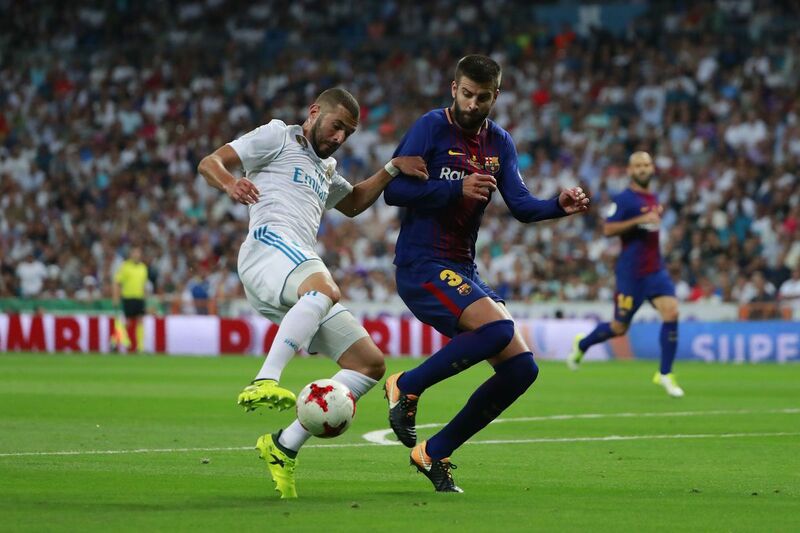 Benzema scored the second goal of the match in the 38th min, and Even though this was not the point of time to declare the fate of the match, it was seen later in the match that this was the result that became final. The second half was a little slow, but at the end of it, with some renewed vigour, and an additional 2 min, the match came to an end.